Engineering Resource Associates, Inc. (ERA) provided civil engineering and GIS services for the mapping of overland flow paths for 7 sq. mi. of area defined by the municipal boundary of the Village of Lisle. The exhibits show overland flow routes of the natural drainage pattern of stormwater runoff during storm events that exceed the Village’s storm’s sewer capacity in areas outside of the 100-year flood plain. 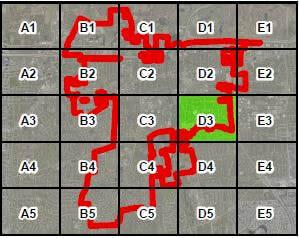 It shows a flow path at all locations that have at least 1-acre of area tributary. The stream paths change in color based on the amount of tributary area at the following intervals: 1 acre, 3 acres, 5 acres, 10 acres and 15+ acres. 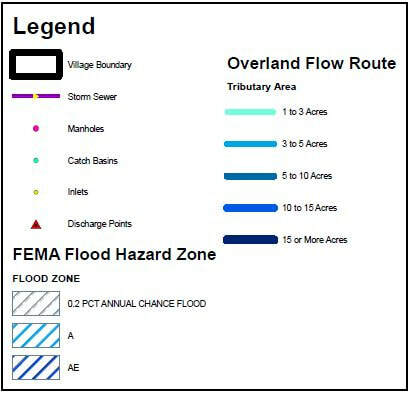 The overland flow path maps will be used by the Village of Lisle to inform decisions regarding the permitting of sheds, garages, fences, pools and other structures that could block overland flow routes or be susceptible to flood damages. It also serves as a useful field reference when addressing local flooding issues and complaints by residents and other property owners outside of the flood plain.